Creating intelligent, reconfigurable exhibition stands. Any exhibitor, whether this is their first exhibition or they’re an old hand, will understand that an attractive and engaging exhibition stand design can make the difference between a successful trade show and days of watching people pass by. It’s our job to make sure that your stand grabs attention, welcomes visitors and increases interest in your business. Quite simply, we bring your vision to life. When your stand brief is finalised, our expert 3D exhibition design and build team will produce a full proposal including a design, plan and all-inclusive quotation. Once you’ve had an opportunity to consider how you stand will look and suit your purposes the team will be more than happy to tweak the layout and progress your ideas until they create a design that fits your purposes exactly. 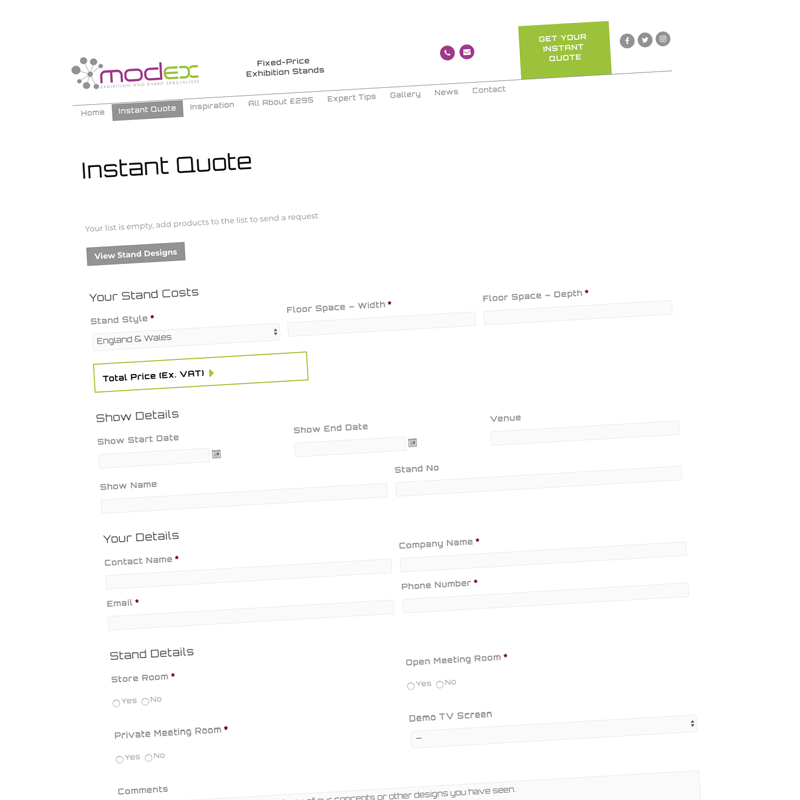 Excellent design is integral to everything we do at MODEX. 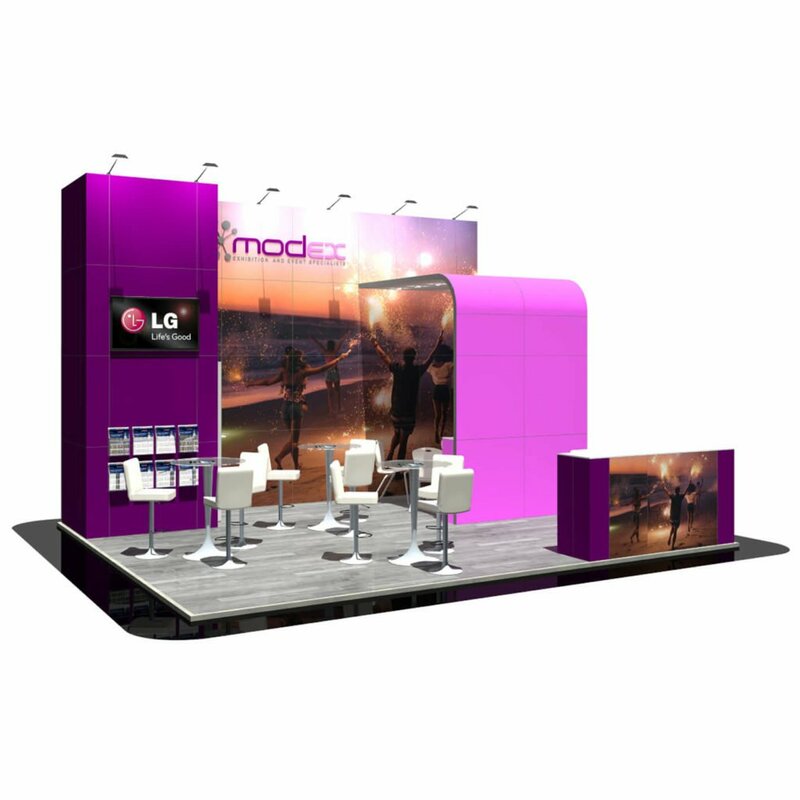 It’s our design team’s sharp eye for detail and their ability to design innovative and functional exhibition stand designs that sets them apart from other exhibition stand designers. While they explore the boundaries of creativity, they always keep things practical, viable, on time and within budget. If you’re in need of exhibition stand design ideas or exhibition stand design inspiration, there are several articles within our blog which may be of help.